Zack Greinke (5-1, 1.92) vs. Ian Kennedy (3-5, 6.48). THANK YOU OREL! A Sponge Worthy Saturday Night and gnats losing at birdshit park...life, she's good! Ok Orel....2nd night in a row....huh? I got the sosggt part help me with the rest! Gonzalez has been ice cold lately. "How 'bout that Gonzalez GIDP?" Boys playing fast and loose on D. Matty ends up on 2nd on a 25ft hit and Veneable scores. Ha Kennedy. There goes the no-hitter and the shutout. 1-1. Zack snuffs out friar rally in 7th. Going to 8 still tied 1-1. 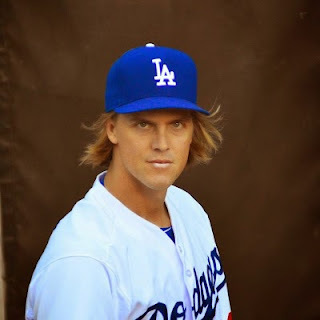 Nice escape from the jam Greinke! Well god dammit. I can't even get happy about a win these days because I know it will be followed by an agonizing loss. And speaking of agonizing...A-Gon needs to get the umps and the Padres out of his head. He's let that get to him this series. It's very obvious and it's not helped him or the team.